It’s not just coffee enthusiasts who enjoy a good cup of coffee these days but pretty much everyone. The most common of all, of course, is ground coffee, which can be found in any supermarket, restaurant, or corner shop on the planet. Part of the reason why is that ground coffee is very easy to prepare and even easier to store. Given its versatile nature, you can use ground coffee in almost any recipe, for dishes, desserts, or beverages alike. With an extremely wide selection available to choose from, it can, however, be rather difficult to choose a brand of ground coffee for yourself. It usually comes down to people have different opinions on what constitutes a quality ground coffee and what characteristics should a good coffee possess. To give you some pointers on the matter, we put together a list of the ten best ground coffees the market has to offer for you to look at. The Kauai Koloa Estate Coffee Ground is a professionally crafted medium roast from 100% best Arabica Hawaiian coffee. As such, it offers a cup that is as uniquely tasteful, relaxing and rich as the American island paradise itself. This coffee contains a good selection of beans that are professionally roasted fresh from the farm, then ground to yield an aroma-rich yet mild and smooth coffee. Though a bit new in the coffee world, Kauai Koloa stands out for its unparalleled quality, what with it proudly made in the United States. With the Peak performance Organic Ground, you are sure to savor some of the healthiest, cleanest cup of coffee ever. This is a high-quality choice of ground coffee that delivers a really rich taste while its powerful flavor is bound to stay with you for hours after drinking it. This is due to the fact that this coffee ground is made using the best high-altitude beans sourced from the Guatemalan highlands farms, a type of coffee rich in antioxidants and thus offering a therapeutic benefit besides the powerful taste. A master blend of sweet, berry and spicy notes, the Caribou Coffee Ground is harmonized for a down to earth yet appreciably relaxing cup. With a taste for premium particularity, Caribou Coffee works to deliver a special coffee drink, doing so by carefully roasting only the top 1% of world’s best beans in small, measured batches. Sourced selectively for a healthier, cleaner planet, this coffee is 100% Rainforest Alliance Approved for the highest quality class. This Colombian-sourced coffee, 100% of which the Kirkland Signature Supremo is made from, is popular for its well-tempered, unique taste. This coffee ground is full rich in arousing aroma and full flavor of fresh-roasted single-origin beans. A special blend of all-Columbian choicest coffee, it boasts a uniquely crafted dark roast formula that also yields one of the best coffee flavors today. The fine, smooth ground comes ready to brew, as all you need is to pour it in hot water or milk with minimal preparation beforehand. Melitta Coffee’s Colombian Supreme is a quality ground coffee that is extremely rich in great flavor. Essentially, it is a well-balanced of 100 percent finest Arabica beans sourced from selected, high-quality coffee farms. It is a medium roast fine ground that makes a richer cup while utilizing nearly 30 percent less caffeine relative to other coffee brands. Moreover, Melitta Coffee Supreme is quite simple to prepare when compared to other types of ground coffee. Tim Hortons’ Original Blend is a 100 percent Arabica beans medium roast at its core, yet uniquely processed to provide that distinctively irresistible coffee taste that is rare to come by. The secret to this flavorful, aromatic, and rich coffee is Tim Hortons’ exclusive, remarkable blending proficiency, for which Tim Hortons is reputed as a leading ground coffee manufacturer in the industry, a standard not many other brands can reach. Then again, you are not simply buying the brand but the quality coffee Tim Hortons is known to deliver. The Coffee Kult’s Medium Roast ground coffee is a top-quality blend of select Brazilian and Colombian coffee beans. This blend contains 100 percent premium Arabica beans, carefully roasted and blended for a rich but smooth, medium bodied cup any coffee lover must love. We say this because most of the people who have had the pleasure of trying it swear by its exquisite taste, a flavor that makes it stand out from the rest ground coffees in this price range. The Lavazza Crema e Gusto is a professional ground coffee blend combining the very finest of Brazilian Arabica African and Indonesian Robusta coffees, making it undeniably exceptional by most standards. This coffee offers a rich aroma and bold aftertaste with special chocolaty notes for that sublime flavor many coffee enthusiasts look for. This ground coffee is an ideal choice for preparing espresso-based drinks as well as for those who desire just a standard cup of quality coffee every now and then. Coming from the Death Wish Company, the Valhalla Java Blend is a very popular ground coffee option these days, one that enjoys quite a reputation. This coffee is made from the best of Indonesian and South and Central America’s coffee beans, a blend that makes it one of the most flavorful out there. At the same time, Valhalla Java is a masterful artisan roast, meticulously processed to create an optimum rich flavor and rejuvenating caffeine levels. Furthermore, the beans this ground is made of are carefully selected and uniquely roasted for an ultra-strong, bold, yet tastefully smooth cup of coffee. Seen as one of the world’s most popular and strongest coffee in many regards, the Death Wish Ground Coffee is a made from beans that have been expertly picked and carefully roasted to yield a smooth-tasting yet also very rich cup of coffee. With this popular coffee, you get to enjoy the extra kick of first-grade caffeine for getting your day flowing every sunup. Besides its strength, this coffee also provides a powerful flavor and aroma to last. All things considered, it is by far one of the most flavorful ground coffees available today, one that enjoys a tremendous popularity at this point in time. There is plenty of evidence to suggest that freshly ground coffee is indeed more flavorful and tastier than coffee in any other form. This is because coffee beans tend to go stale the longer they are stored, whereas ground coffee is guaranteed to last a whole lot longer and retain its flavor for a much longer time. To put it in technical terms, a coffee’s long-term resistance is affected by oxidation moisture, and CO2 depletion, which not only affects the coffee’s taste but also how easy it is to store. 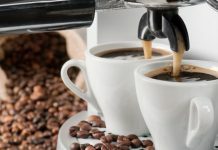 In principle, coffee will definitely lose some of its flavor over time, yet its degradation rate can be slowed down quite a bit as long as you understand what makes it go bad, to begin with. One of the biggest problems with storing coffee over long periods of time is that it degrades the more contact it has with the air in the room. This is mostly owed to the oxygen which tends to oxidate everything it touches, not just coffee or food in particular. The process involves compounds that interact with air molecules to change their properties, thus causing coffee to lose some of its flavor and aroma. By grinding your coffee, you can prolonge the coffee’s taste and flavor, albeit to only a reasonable extent. Moisture also has a major impact on ground coffee or better said coffee in general. This is because the oils in coffee beans get released as soon as the coffee touches liquids of any kind and this involves the moisture in the air. In other words, all it takes for you to lose precious flavor when storing coffee is to expose it to the air inside the house. It is for this reason that people are generally advised to close whatever recipient they use to store coffee shut. This is another issue with storing coffee, the fact that the CO2 contained within the package will eventually be lost after you break the seal. No matter how careful you are when storing it, you will never match the standards that a coffee-packaging factory have, meaning that you will inadvertently lose precious flavor over time. 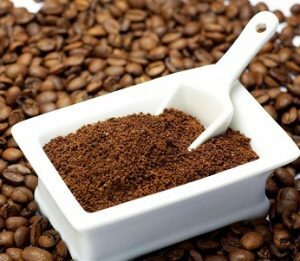 This is because of how porous coffee beans are, a property that makes them prone to losing their contents when exposed to the air inside a room for long periods of time. Freshness – The first thing to consider when choosing what coffee to get and also how to best enjoy it, is to check how fresh it is. We say this because coffee tends to start degrading as soon as you take it out of the package. If possible, check to see when the coffee was packaged and where did it come from. On a related note, keep in mind that coffee tends to lose its flavor about three to four weeks after being taken out of the package. This, unfortunately, applies to the coffee you find at the store, no matter how well it is packaged or how reputable its manufacturing brand may be. Roasted/Unroasted – Interestingly enough, unroasted coffee tends to stay fresh for a lot longer than roasted coffee. In this respect, unroasted coffee can stay fresh for months, whereas roasted coffee will lose some of its flavor in only a couple of weeks or so. Now, we understand that unroasted coffee is pretty hard to come by, yet you should definitely look for it should you get the chance. Bear in mind that coffee can be roasted fairly easy using a variety of household appliances, including popcorn makers and electric ovens. Choose A Good Coffee Maker – Needless to say, a good coffeemaker can make all the difference in the world when preparing coffee of any kind. In truth, a quality coffee maker can elevate even a low-end coffee to a much higher standard by virtue of proper preparation. 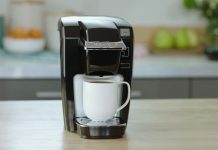 This is because good coffee makers can reach between 195 and 205 degrees F during the brewing process, which is the optimal temperature to get the most out of most coffee beans, grounded or not. Ratings – Never before throughout human history have people been able to communicate so freely with one another, with almost every person in the civilized world using some sort of social network these days. Use this to your advantage when making any sort of purchase, coffee included. Take the time to check product reviews when buying coffee as they may provide a more detailed insight into whatever brand of coffee you plan on buying. This is because coffee beans with the same origin will sometimes taste different depending on the company that’s doing the packaging. Exposure – We talked about exposure already and how oxygen, as well as humidity, can affect the quality of your coffee once you take it out of the package. In this respect, consider investing in an airtight jar or any similar recipient for easy storage. This is bound to prolong the flavor and aroma of your coffee for long after you first took it out of the package it came in. On a related note, try buying it in smaller quantities if possible, not only for storage reasons but also to help you figure out the portions better. 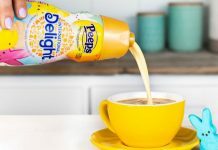 Price – Keep in mind that even though good coffee doesn’t really cost a fortune, high-quality coffee made by reputable brands tends to command a price tag to match. To ensure that you get precisely what you want, look for coffee produced in the same region as the coffee that you normally enjoy, even if it comes under a different brand. As long as this smaller brand followed proper protocol when packaging the coffee, it is unlikely that it will have a different taste. All things considered, the difference between big brands and small ones is that reputable brands operate according to slightly higher standards of storage and packaging.